As explained in other pieces for CounterPunch (here, here, and here) in 2017 Lenin Moreno was elected on a platform of continuing the policies of his left wing predecessor, Correa, who was first elected in 2006. Immediately after taking office, Moreno shifted very hard to the right and has therefore made it his main priority to accuse the government he was part of for ten years of being corrupt. A week before the arrest order for Correa, I spoke with Virgilio Hernandez who was a member of the National Assembly while Correa was in office. Part of the interview was updated after the arrest order came out. A key point Hernandez makes is that the “Transitional” Citizens Participation Council whose members were hand-picked by President Moreno (details here on the reasons the body is unconstitutional) has sweeping powers over the judiciary and other authorities. The National Court of Justice of Ecuador has ordered the preventive detention of the country’s former president Rafael Correa and requested that Interpol apprehend him for extradition. The request for Correa’s detention was filed by the country’s chief prosecutor on Tuesday. The prosecution is accusing Correa, who served as the president of Ecuador from 2007 to 2017, of being involved in the kidnapping of Fernando Balda, a former opposition lawmaker, in 2012 in Colombia – charges that Correa vehemently denies. Balda himself was charged with orchestrating a foiled coup attempt in 2010. The charges were filed when the lawmaker was in Colombia, from where he was eventually deported to Ecuador in 2012 and served a year in prison for endangering state security. Correa, who is living in Belgium with his family, is up in arms over the court’s ruling, arguing on Twitter that the request to put him in custody was made without “a single piece of evidence.” He believes the extradition does not stand a chance at the international level. “How much success will this farce have at the international level? Don’t worry, everything is a matter of time. We will win!” he added. In a string of tweets, Correa thanked his followers for the outpouring of support he received after the news on the international warrant for his extradition broke. “I thank everyone for their solidarity in the face of this new and serious abuse of justice and my rights,” he tweeted, adding that he doesn’t believe Belgium will comply with the request. “They will seek to humiliate us and make us have a hard time, but such a monstrosity will NEVER prosper in a State of Law like Belgium,” he wrote. One of the milestones of Correa’s foreign policy became granting asylum to WikiLeaks founder Julian Assange in 2012, who has since been holed up in the country’s embassy in London’s Knightsbridge. The move drew anger from the UK and the US, who sought the whistleblower’s arrest. However, the two have since fallen out, with Correa branding Moreno a “traitor” and “a wolf in sheep’s clothing” after the latter proposed a constitutional referendum to limit the number of presidential terms, thus barring Correa from seeking re-election in 2021. The referendum held on February 4 ended in a victory for the Moreno government, with the majority of Ecuadorians voting to introduce the changes. Moreno has signaled there will be a U-turn in the South American country’s foreign policy from Correa’s anti-American posture after he signed a security agreement with the US in April of this year. The new president also took a tougher stance on Assange, calling him “more than a nuisance” and a “hacker,” which is more in line with the rhetoric coming from Washington. Although Moreno agreed to extend Assange’s asylum, the WikiLeaks founder’s Internet access and visitor rights were restricted over what the Ecuadorian government sees as his controversial online political activity. Since February, Correa has been a host of his own show ‘A Conversation with Correa’ on RT Spanish, where he has interviewed prominent guests from Latin American political circles and beyond. Among those who sat down with the ex-president on the show were Brazilian ex-Presidents Dilma Rousseff and Luiz Inacio Lula da Silva, former Uruguayan President Jose Mujica, Argentina’s ex-leader Cristina Kirchner, American author Noam Chomsky and others. This NACLA article provides an excellent example. Bolivia’s TIPNIS (Territorio Indígena y Parque Nacional Isiboro Secure) dispute arose over the Evo Morales government’s project to complete a road through the park, opposed by some indigenous and environmental groups. NACLA is not alone in what is in fact apologetics for US interventionism. Include the Guardian, UpsideDownWorld,  Amazon Watch, so-called “Marxist” Jeffery Weber, Jacobin, ROAR,  Intercontinentalcry, Avaaz, In These Times, in a short list of examples. We can add to this simply by picking up any articles about oil drilling in Ecuador’s Yasuni during Rafael Correa’s presidency, or the protests in Bolivia’s TIPNIS and see what they say about US funding of protests, if they even mention it. “The TIPNIS marchers were openly supported by right wing Santa Cruz agrobusiness interests and their main political representatives, the Santa Cruz governorship and Santa Cruz Civic Committee.”  In June 2011 indigenous deputies and right wing parties in the Santa Cruz departmental council formed an alliance against the MAS (Movement for Socialism, Evo Morales’s party). CIDOB then received a $3.5 million grant by the governorship for development projects in its communities. The TIPNIS campaign, which became a tool in the US regime change strategy, was taken up in a petition by Avaaz. It included 61 signing groups. Only two from Bolivia! US signers included Amazon Watch, Biofuelwatch, Democracy Center, Food and Water Watch, Global Exchange, NACLA, Rainforest Action Network. Whether they knew it, whether they wanted to know it, they signed on to a false account of the TIPNIS conflict, placed the blame on the Bolivian government, target of US regime change, and hid the role of the US.US collaborators in Bolivia and Ecuador are painted as defenders of free expression, defenders of nature, defenders of the indigenous. The US government’s “talking points” against the progressive ALBA bloc countries have worked their way into liberal-left alternative media, which echo the attacks on these governments by organizations there receiving US funds. That does not mean Amazon Watch, Upside Down World or NACLA are themselves funded by the US government – if it somehow exculpates them that they do this work for free. Even worse, much of this propaganda against Evo and Correa appears only in the liberal-left alternative press, what we consider our press. The USAID budget for Latin America is said to be $750 million, but estimates show that the funding may total twice that. Maria Augusta Calle of Ecuador’s National Assembly, said in 2015 the US Congress allocated $2 billion to destabilize targeted Latin American countries. Some of it lies in deep-rooted white racist paternalism in their romanticizing the indigenous as some “noble savage” living at one with nature, in some Garden of Eden. Providing these people with schools, health clinics, modern conveniences we have, is somehow felt not to be in their best interests. Public health care in Ecuador was internationally recognized as the most innovative and progressive in the world when they were awarded the United Nations Public Service Award. The prestigious award, presented on June 23, praised the South American country’s delivery of health services which Ecuadoreans have access to through the Public Health Network (RPIS), from which stem other branches of state medical aid such as the Ministry of Public Health (MSP), Ecuadorean Institute of Social Security (ISSFA), and the National Police Social Security Institute (ISSPOL). Ecuadoreans will receive medical attention from any one of these institutions at any location, irrespective of their member status or their economic situation per the country’s constitution which guarantees free health care. Additionally, Ecuador’s public health takes a step further, breaking convention and putting the welfare of its citizens first. In the case that a medical procedure is not available in the country, the patient in sent outside the country to undergo medical aid, free of charge. One such case was that of Sofia Echeverria, a young woman who had suffered from biliary atresia, a sickness of the liver, since birth. As liver transplant is impossible in Ecuador, she was sent to the Austral Hospital in Argentina to undergo surgery. Since its initiation, RPIS has treated more than 8 million patients and members the state medical institutions as well as transferred 40,000 to outside private services. “This has implied great changes in our institutions and state officials attitude since the system was divided and full of barriers that did not allow citizens to benefit from hospital services due to the lack of funds,” Minister of Health, Veronica Espinosa stated. Espinosa said that despite the progress made, there is still much left to do. The minister explained the need for a legislative framework which will guarantee universal medical care for future generations – a proposal that will be discussed at the National Assembly. Bolivia’s TIPNIS protests, with Pachakutik, Conaie and the Yasunidos in Ecuador. They have exposed the role of the US financed environmental NGOs in these countries, such as Fundacion Pachamama, Accion Ecologica, Amazon Watch. The Confederation of Indigenous Peoples of the Bolivian East (CIDOB), the main organisation behind the march, has no such qualms [about its connection to the US]. It boasted on its website that it received training programs from the US government aid agency USAID. On the site, CIDOB president Adolfo Chavez, thanks the “information and training acquired via different programs financed by external collaborators, in this case USAID”. In 2015, the United States government earmarked at least US$4.26 million for Venezuela through the U.S. Agency for International Development, or USAID, with much of this going to organizations undertaking anti-government work. Almost US$2 million of these funds were funneled through the National Endowment for Democracy (NED), an organization created in 1982 purportedly “dedicated to the growth and strengthening of democratic institutions around the world.” Of these funds, US$849,223 were allocated for “civic” or electoral purposes including the creation of an “interactive online platform connecting citizens to National Assembly candidates,” along with US$160,813 for the promotion of “free market” reforms. With more than US$170 million in annual funding from the U.S. State Department through USAID, the NED provides 1,000 more grants to support organizations that promote U.S. foreign policy objectives in more than 90 countries. In addition to the NED, USAID also partners with Freedom House, The International Republican Institute, The National Democratic Institute and The Pan-American Development Foundation of the Organization of American States. The U.S. Congress also provides some US$777.8 million for the Broadcasting Board of Governors, which runs the Voice of America, as well as the anti-Cuban government outlets Radio Marti and TV Marti, while also providing millions in funds to media organizations and journalists who opposed governments that are at odds with U.S. interests. “In Argentina and Venezuela, NED grantees played key roles to promote free and fair elections,” the NED’s 2015 report states. While the government-funded NED does specify grant recipients in certain countries, neither the report nor the organization’s website names the organizations that received funding in the case of Venezuela. In 2015, the NED also spent some US$1,047,818 in Ecuador and US$883,620 in Bolivia to support organizations working against those left-wing governments. Since winning a majority of the National Assembly in 2015, Venezuela’s MUD opposition has been accused of attempting to create an institutional crisis between branches of government through repeatedly attempting to pass laws in direct contravention to the country’s constitution, such as a law that attempted to retroactively reduce the presidential term. Opposition leaders, who have been increasingly calling for street demonstrations to oust the Maduro government, have cited the impasse as grounds for foreign intervention. Ecuador’s socialist government, on the other hand, sees the “underdog” label as misplaced. NGOs may be seen as do-gooders, but that’s not always the case. As a country historically vulnerable to the whims of powers in the North, Ecuador has, under the administration of the outgoing President Rafael Correa, put up a guard against a new kind of public diplomacy from abroad that focuses on gaining the favor of civil society to indirectly execute their political priorities. NGOs have rarely had to justify their work to anyone, let alone prove that they act for the good of the people only. But Ecuador is not an ordinary country. Rich in resources but export dependent, authorities are attempting to manage the many foreign hands trying to pull the country’s development in their favor. This government is the first to scrutinize NGOs, but their scrutiny has not been limited to Accion Ecologica. In 2012, Ecuadorean President Rafael Correa boldly declared that NGOs have been entering the country like never before during the previous decade. Many, backed by foreign states and foreign money, are out to destabilize the state, Ecuadorean leaders stated. Executive Decree 16, which went into effect in 2013, created a system to catalogue the financing, decision-making and activities of every registered social organization — a total of over 46,000 in the country, including non-profits, unions and community organizations, among others. The resulting action saw 26 foreign NGOs expelled from the country for a lack of transparency and compliance with national law; in brief, for declaring themselves “non-governmental organizations” while acting on behalf of foreign governments. Among the more high-profile cases was Samaritan’s Purse, an evangelical missionary relief organization that received funding and support from USAID. Fifteen others were given two weeks to get their activities in order. A handful of Indigenous organizations, which had previously mobilized against Correa’s government, attacked the decree via the Constitutional Court. Two years later, Ecuador reformed the regulations with Executive Decree 739, which fine-tuned the reasons for closing an NGO — the main one, “diverting from stated objectives” — and, caving to demand, eliminated the requirement for organizations to register projects financed from abroad. Donor Nations: Generous or Greedy? The trend that prompted Ecuador’s law was not without precedent. Official numbers from Ecuador’s Chief Administrative Office of International Cooperation, or SETECI, show that since Correa assumed office in 2007 until 2015, foreign NGOs have managed over US$800 million from abroad. Top givers include the U.K. and Spain, followed by several European states. Of those funds, which only count NGOs based abroad that invested in local or regional projects, 13 went to projects in the Amazon led by non-profits like Care International, the Wildlife Conservation Society, the World Wildlife Fund, the Carnegie Endowment for International Peace and the Mitsubishi Corporation Foundation for the Americas. Projects based in Morona Santiago, the province where the anti-mining protests that led to the death of a police officer broke out, brought in over US$1 million from the U.S. since 2007. Each state has its own way. Germany, which has had 151 NGO projects in Ecuador since 2007, is known for meddling in affairs of developing countries through its Federal Ministry for Economic Cooperation and Development, or BMZ. When SETECI found that three-quarters of its funds went toward stopping another mining project in the Amazon’s Yasuni region last March, it kicked the German agency out of Ecuador. One pet project of USAID was the Conservation in Managed Indigenous Areas, or Caiman, which ended before Correa took office but was among several USAID programs to conserve the country’s biodiversity and promote alliances between Indigenous communities and private businesses. Caiman worked with various groups working in ecological and Indigenous rights, including Accion Ecologica. For several years, Caiman had Accion Ecologica help them battle against the Ministry of the Environment and train park rangers to oppose contamination from oil and mining. Whether or not USAID or foreign foundations have funded Accion Ecologica directly is unclear. 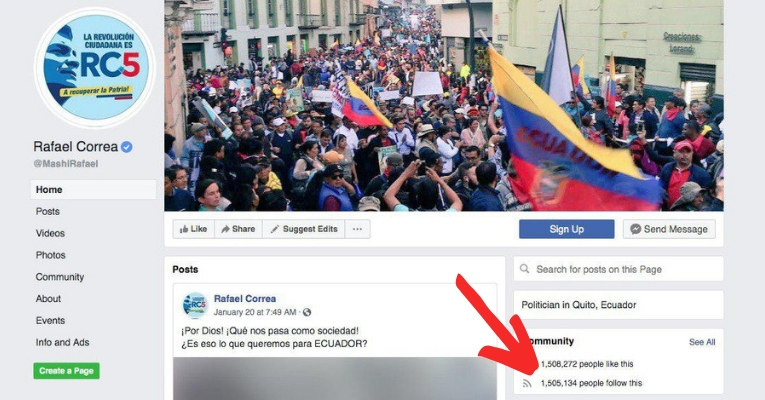 Unlike many others in the industry, the non-profit does not publish its financial information on its website, and refused multiple requests from teleSUR for copies of audits. When asked, the organization’s president said she does not know specifics on foreign funders and could not answer. Almeida did say that Accion Ecologica receives funds from Europe — from individuals, “small organizations, alliances, groups that form” around fundraising events on ecological issues. She did not say how much or cite specific names but mentioned Italy and Belgium. A 2012 investigation from Andes, an Ecuadorean state publication, found that both Accion Ecologica and the Regional Foundation of Human Rights Advising, another powerful nonprofit, are financed by the European Commission, Oilwatch, the Netherlands embassy and a few international ecological networks. Almeida said the accusations were false. While Europe may be the principal interested party in the success of Accion Ecologica, the U.S. is also well known to have played an active role in similar battles. In 2013, the year after Correa took the lead against foreign NGOs and a year before he expelled USAID, Bolivia accused USAID of spending US$22 million to divide Indigenous groups on the exploitation and nationalization of oil in their lands. “Since the right can’t find arguments to oppose the process of change, it now turns to campesino, Indigenous and native leaders who are paid by several NGOs and foundations with perks to foment a climate of conflict with the national government to deteriorate the process of unification that the country is experiencing,” said Morales as he gave USAID the boot. “Theoretically speaking, NGOs shouldn’t exist,” said Casado. NGOs operate within a logic of narrowing, minimizing and weakening the role of the state so they can keep filling holes in public services and keep their jobs, which are at risk of disappearing if the state works as it should, added Casado. “They elect themselves representatives of civil society in general,” and yet their role is limited and entirely reliant on and responsive to funding, which at the end of the day remains in their pockets. Other social organizations and popular movements, said Casado, operate only on conviction. If an NGO is completely free to operate without regulations, a country would open itself to any corporate and foreign interest that found an open hand, he argued. Latin America is intimately familiar with that process — of consolidating power in the monied class — and NGOs back similar corporate interests, only with a more benevolent face. It’s near-impossible to identify the perfect case of foreign intrusion — and, as in Accion Ecologica’s case, near-impossible to prove. Multiple factors are always at play, from the ideology of individual members to the decision-making process to however events play out on the ground. Casado said that the first step to uncovering hidden interests is financial transparency — a move that faces stiff opposition precisely for the interests that it could reveal. In the end, the government’s case did not hold, and the Environment Ministry concluded there was not enough credible evidence to shut down the group. Accion Ecologica credited “pressure” from its supporters, as its representatives continue to urge for a deregulation of NGOs. 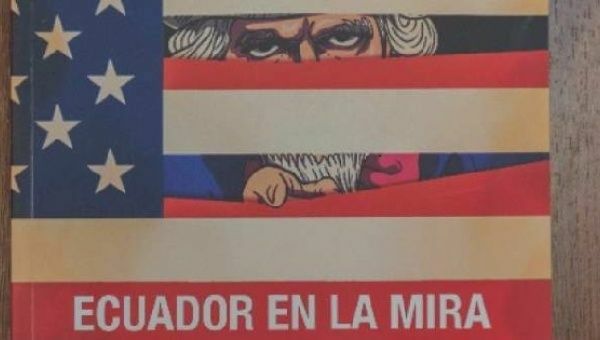 In his new book, “Ecuador In the Sights: The WikiLeaks Revelations and the Conspiracy Against the Government of Rafael Correa,” released this week in Quito, Norwegian journalist Eirik Vold details attempts by the U.S. government to topple Ecuadorean President Rafael Correa and derail his Citizens’ Revolution. “Correa was not about to let Washington maintain its dominance through financial institutions like the World Bank and the International Monetary Fund,” Vold told the Andes press agency in explaining the motivation behind years of U.S. efforts to undermine the Ecuadorean president. The book is largely based on the “Cablegate” documents released by WikiLeaks in 2010, including thousands of secret documents sent from the U.S. Embassy in Quito and the U.S. consulate in Guayaquil. In the book, Vold outlines how the U.S. looked to thwart Correa from the very beginning, trying to directly prevent his election out of fear of losing the U.S. military base in Manta, the base of CIA operations in the region, as well as control over the U.S. oil company Occidental Petroleum Corp.
After his 2006 election, Correa nationalized the oil company and closed the U.S. base in Manta. Vold says his book documents multiple attempts by the U.S. to sabotage UNASUR — the regional cooperation body founded in 2007 by progressive governments in Latin America — as well as extensive contacts between the U.S. Embassy and members of the national police force before an attempted 2010 coup, known as 30S. In 2015, 22 police officers were found guilty of insubordination for their role in the failed coup. Vold also claims the secret cables identify multiple NGO, media, finance, and political contacts which the U.S. embassy used to attempt to destabilize Correa’s government. One of those Vold names is current vice presidential candidate Andres Paez. Paez, formerly the president of the left-wing Left Democracy Party, is now running on the right-wing CREO ticket along with former banker Guillermo Lasso. Ecuador has warned that an environmental group, accused of supporting violent acts that left one police officer dead and another with life-threatening injuries amid Indigenous protests against a Chinese mining company in the Amazon, is being investigated and could have its legal status removed. Accion Ecologica was notified Tuesday by the Ministry of Environment that administrative proceedings would be starting against the group which is accused of supporting “mobilizations that promote discord and confrontations with the police,” Ecuador’s Ministry of Interior said. Accion Ecologica has been accused of supporting recent violent protests reportedly carried out by the section of the Shuar Indigenous group which attempted to occupy territory in the area where Chinese mining company Explorcobres, in charge of a copper mining project in Ecuador’s Amazon rainforest, is operating. On Dec. 14, a group of people in the town of San Carlos de Tanantza, in the province of Morona Santiago, killed a police officer, injured five others, as well as two military members, during a protest against the mining project. Security officials said that a group of 80 people, believed to be part of a Shuar community fired at police guarding the Explorcobres camp, after the group had already attempted on a number of occasions to enter the area. The government is holding six people in detention over the incidents, which also left another officer seriously injured. Ecuador has rules governing NGOs that say that they should fulfill the mandate of the mission in their legal documents, and government officials say that Accion Ecologica has moved away from its original peaceful goals of environmental advocacy and that its support of recent violent protests could undermine the country’s security and peace. Ecuador began registering and regulating NGO’s, given the history of interference from foreign governments using NGO’s to meddle in the country’s affairs. In a statement, Accion Ecologica responded to the accusations by the Ministry of the Environment maintaining that “We have been scrupulous in our compliance with the law,” and that their lobbying complies with the country’s environmental management guidelines. In response, the group has taken to social media with the hashtag #SOSAccionEcologica, echoing the “SOS” taglines used by opposition groups to the region’s left-wing governments.